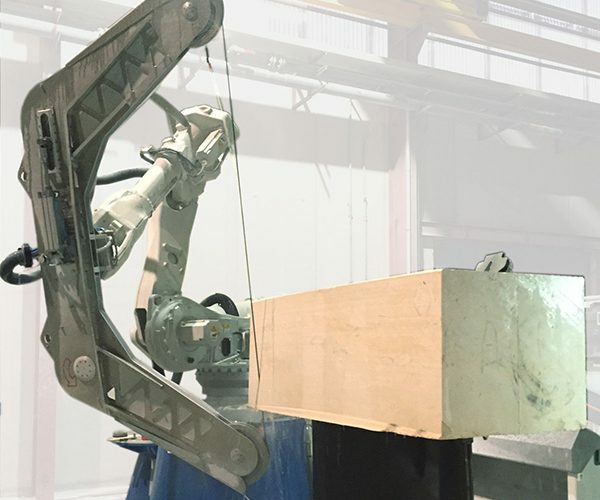 Stone & Equipment Inc. updating and innovating in the world of natural stone, has implemented an infrastructure of T & D Robotics to create and produce elements of urban furniture using as raw material the marble or any other limestone. Comprised of a robotic cell with two turntables and automatic systems, the production of hundreds of modular elements can start to create some unique distinguished cities environments. Urban material that can be perfect for installing seats delimiting gardens in public spaces or creating a close environment in pedestrian area. Head equipped with diamond wire applied to the robot allows to make authentic wonders on these modular systems, and along with the turntables make it possible that there is no interruption in production. While is a cut and designs, in the other a piece perfectly finished for download is ready and waiting again for a blank for our procedure. In this way we have a 24/7 production without any impediment, only stops for its natural maintenance. 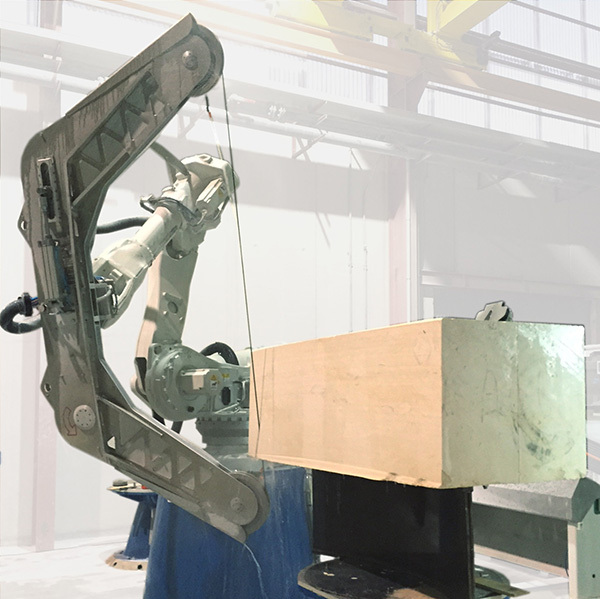 In addition to cutting with diamond wire, automatic head change system gives the ability to Stone & Equipment that no operator has to step in and replace its end –effector, and can perform two different operations at the same time. The first exclusive event launching this year’s 2017 Art Basel at OUR NEW Sunny Isle location. 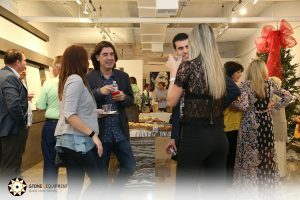 Celebrate the launching of 2017 Art Basel with “Blueprints & Stone”. Since its inception in 1999, Stone & Equipment is a leading manufacturer, importer, distributor and wholesaler of Natural Stone. We had the honor to present the work of Havi Schanz, also known as HAVI, born in Argentina, who has been living in Miami Beach since 2005. He is inspired by impressionist, romantic and baroque influences to create a unique representation of the iconography of culture pop. 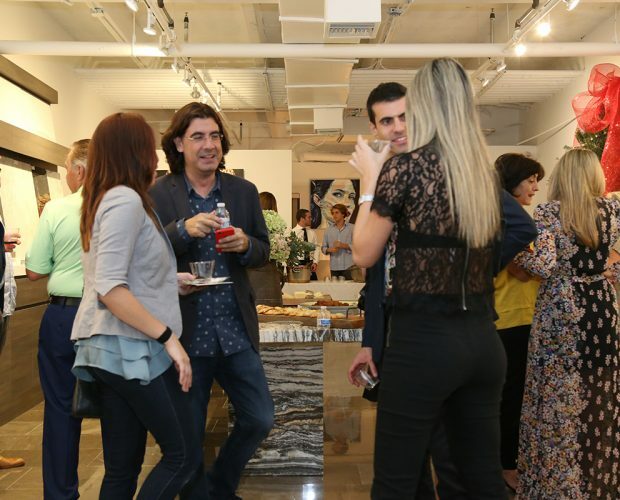 “Showroom Sunny Isles”, new location 17100 Collins Avenue / Suite 208. CORAL GABLES, FL. The renovation of the main commercial streets -Miracle Mile and Giralda Avenue- in the city of Coral Gables, FL began last spring and is expected to be completed during 2017. 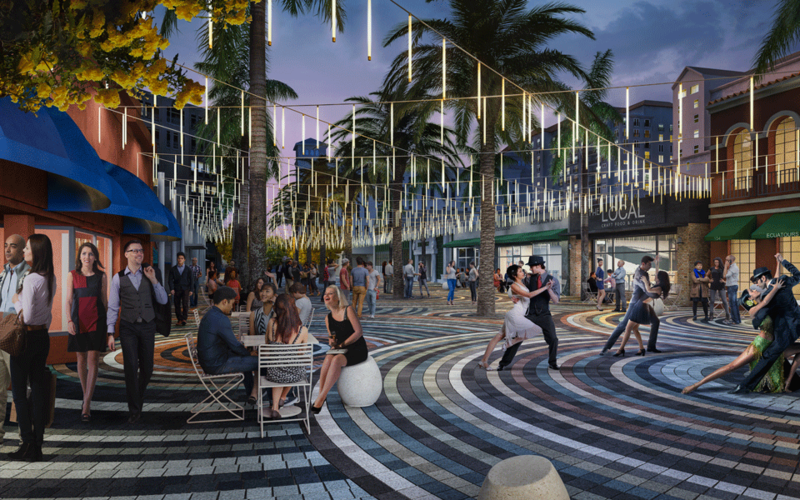 This $20 million project will transform the heart of Downtown Coral Gables into a pedestrian-friendly environment, with garden areas, wide sidewalks, outdoor seating and dining and an improved lighting design. 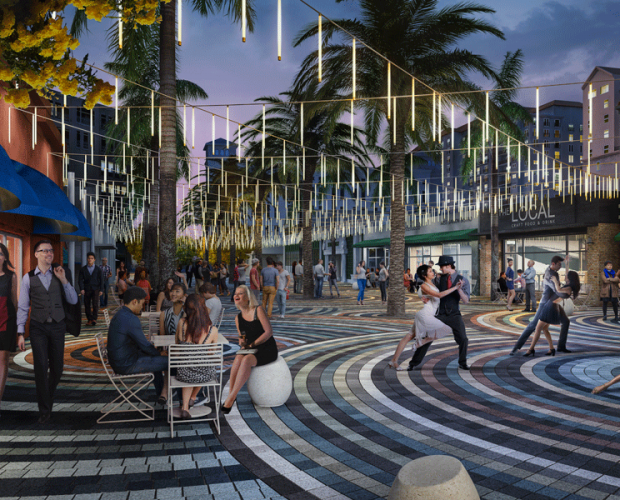 This renovation is expected to enhance the economic vitality of the area and will make the new Coral Gables’ downtown the perfect place to enjoy Miami outdoors. “Stone & Equipment”, one of the leading manufacturers and distributors of Marble, Limestone, Travertine and Onyx in South Florida, has provided advice and consulting on the value engineering process and is one of the main suppliers of project’s street & urban natural stone furniture. The new urban elements are composed of more than 625 pieces with 11 unique designs that have been developed exclusively for the City of Coral Gables (including 9 different kind of benches and bollards) by the prestigious architecture and urban design firm “Cooper Robertson”, based in New York City, with architect Earl Jackson as the project’s design director. The pieces were carefully designed with different heights and inclinations, and they may be installed either separately or connected while creating different kinds of layouts and landscapes. These very sophisticated designs include curves and asymmetries, which required the most advance technology – a cutting machine with a six axes robotic arm – for its successful production. This machine elaborates the pieces’ finishes itself and thanks to its two rotary tables, it provides a continuous production without interruptions (except for regular maintenance) 24 hours – 365 days a year. The Shell Reef stone is the main material used for this street furniture project. Shell Reef is a lightful and strong limestone with shell fossils that has been used in other high-end projects around the world. This singular natural stone comes from a Spanish quarry close to the Mediterranean Sea, and “Stone & Equipment” has the exclusivity to distribute this product worldwide. The furniture pieces created with the Shell Reef have a manually applied aged finish to honor the history of Coral Gables, with bevels at the edges to avoid splinters and cuts. The tops of the pieces have a filled and honed finish that is refined and very attractive to the touch, and all of them have received a hydrofuged and sealing treatment to minimize the impacts of the climate effects and to optimize its maintenance. The Coral Gables first phase streetscape renovation is expected to last 12-18 months. The project will provide the Coral Gables citizens and its numerous visitors with the best environment to enjoy the city, and will convert the already elegant and sophisticated neighborhood into one of the most walkable areas in Miami.